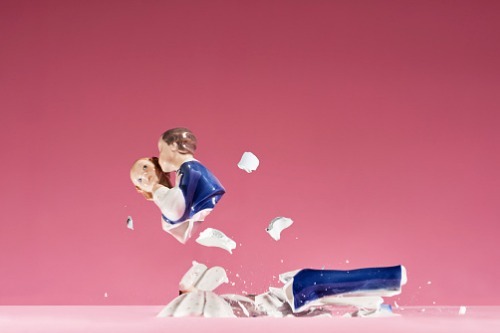 Divorce can lead to an extremely contentious battle, even after the two separating spouses negotiate a settlement on how assets should be split and how support should be provided. One possible pitfall for such agreements opens up when one party fails to disclose their financial assets fully. “In Ontario, the Family Law Act says that ‘a court may … set aside (an) agreement or a provision in it, if a party failed to disclose to the other significant assets, or significant debts or other liabilities, existing when the (agreement) was made,’” wrote Laurie H. Pawliza of Torkin Manes LLP in a recent commentary. Because of this, family lawyers advise their clients to provide full financial disclosure to their spouse during divorce or separation proceedings. That means divulging detailed information, such as financial statements and tax returns for private corporations in which a party has an interest. This is made clear in Turk v. Turk, a case recently decided by the Ontario Court of Appeal. According to Pawliza, the Turks lived extravagantly for a good part of their 19-year marriage, until the husband sustained a significant business reversal around the end of their relationship in 2008. A protracted series of mediation sessions followed over the next 18 months, which ended with them signing a separation agreement in 2010. “The parties attended mediation mainly without their lawyers present. The mediator was responsible for obtaining the financial disclosure from the parties — an unusual role for the mediator,” Pawliza said. The husband made numerous compromises on property issues, including an agreement not to deduct significant assets he owned at the date of marriage from the calculation of his increase in net worth between marriage and separation, and the inclusion of a property bought after separation. Because he had a wealthy family to support him during his business struggles, he also conceded that his income for support purposes was $421,000, even though he only got $180,000 per year from his father. But in 2017, the wife sought to set aside the separation agreement in a 22-day trial heard by Justice Carolyn Horkins. After reviewing the evidence and claims made by each party, she ruled that the husband had not disclosed his interests in two companies owned at separation, nor a $480,000 tax-free capital dividend he had received during the mediation. But Horkins found that the non-disclosure of the two companies was not significant because the husband’s father controlled the companies. She also held that the capital dividend, made as a one-time payment when the husband was being supported by his family, was not significant. “[M]easuring the significance of the non-disclosure against the disclosed net assets is impractical on the facts of this case … because too many monetary compromises were made during mediation,” Horkins said. Dismissing each party’s claims, she refused to set aside the separation agreement.